Orizon Real Estate agent Ann Fahl brings passion and professionalism to the Whitley County real estate market. 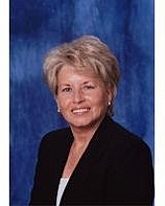 Celebrating her 30th year in real estate, she is a passionate and dedicated real estate professional. To maximize exposures for listing, Ann continually holds open houses and features special events for the homes she holds open. She also cares deeply about the community where she lives and works and loves to give back to people who trust her with all their real estate needs. She serves on the Board of the Interfaith Mission, which she chairs yearly the progressive dinner fund raising events for the organization. She serves as secretary of Whitley Crossings in Whitley County, she served on the Board of Somebody Cares and was chairman of the Annual Garden Walk for the organization, she has earned the community service award for Orizon Real Estate for four of the past five years, she is a member of the Fort Wayne Multiple Listing Service, the National Association of Realtors and the Indiana Association of Realtors. One of Orizon Real Estate top producers for 30 years Ann treats her clients as friends and builds lasting relationships with them and it is her honor to serve clients looking to list or sell their homes. Troy Guiff Josh is very easy to deal with and explains everything so one can understand. Brandon and Brianna Maddux Carol is friendly and easy to work with!